I’m a huge fan of Cleveland’s West Side Market. I was even a fan for quite a while before I realized how many vendors there were to get ready-to-eat food. And one of the best of those is Crêpes De Luxe. Since they’re in a tiny little vendor stall, of course you get to watch them make everything. They even have a video camera mounted up top with a monitor so people in the back of the line can watch what’s going on. Yeah, they get crowded on Saturdays. One great tip I picked up was this one for slicing bananas. 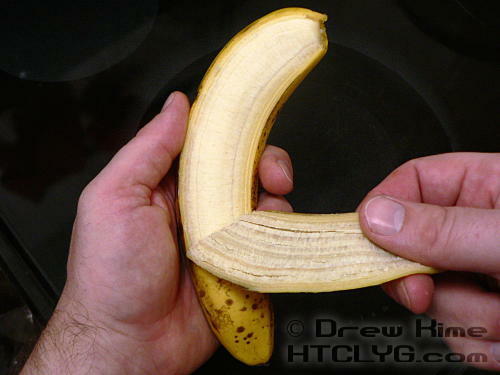 Peel one segment all the way off. Loosen the rest of the peel. 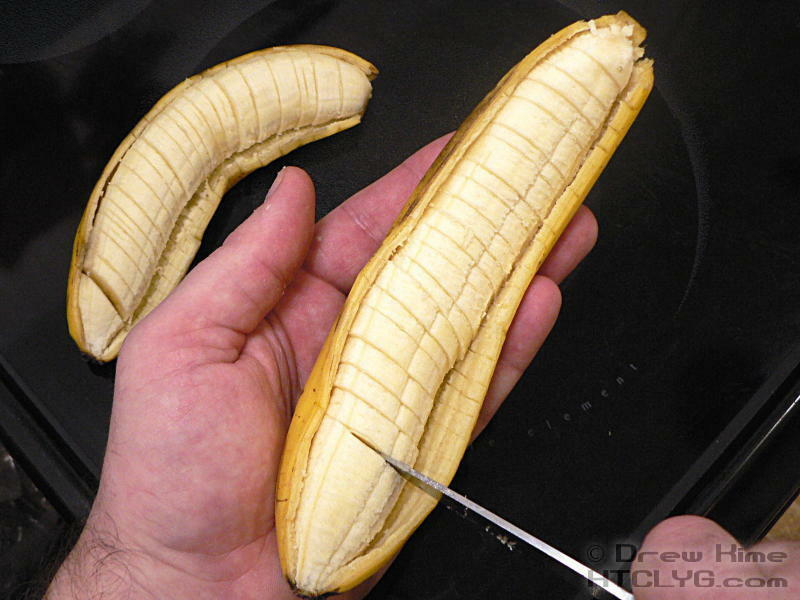 Slice it right in the peel with a paring knife. Since I don’t have a lot of practice with this, it got a little awkward toward the end. The guys at Crêpes De Luxe do one in about five seconds. The great thing about this trick is you can prep several bananas without making a mess. 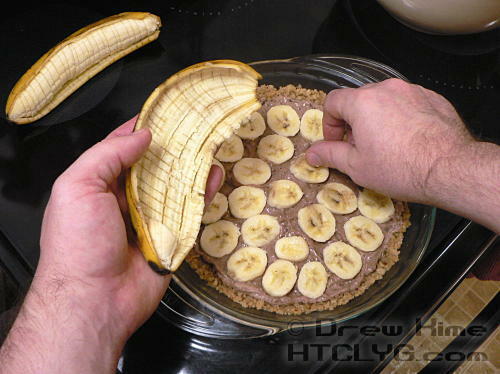 If you try to slice them onto a plate, they get slippery and the pieces fall apart when you try to pick them up. 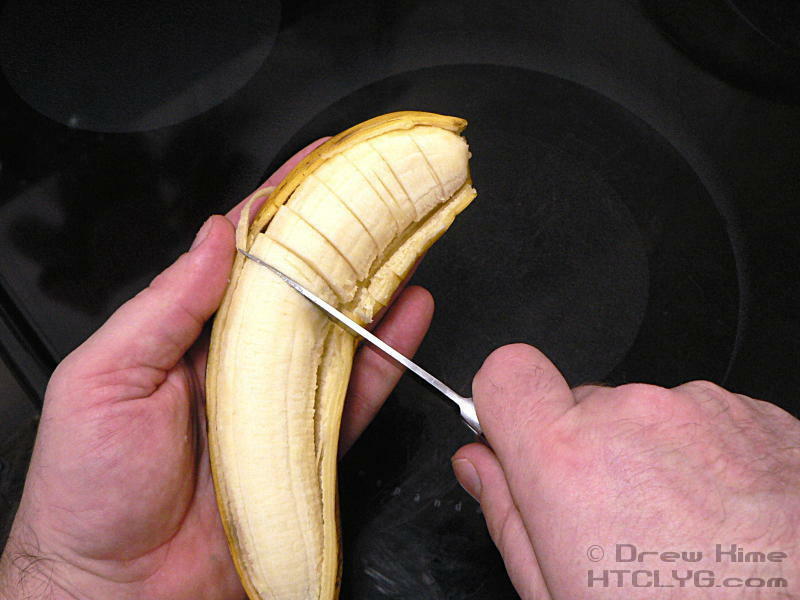 If you try to slice them right onto whatever you’re making you don’t have much control. 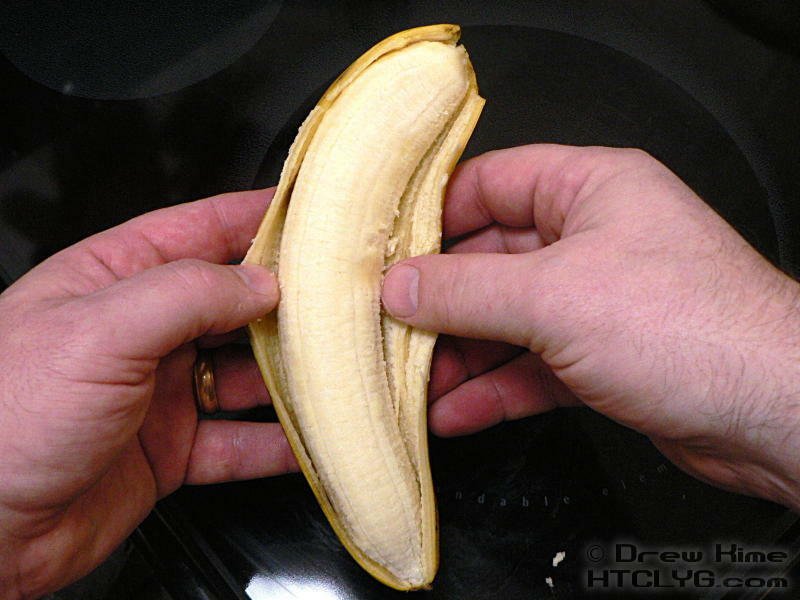 This way, you can hold the sliced banana in one hand and deal out slices like a Vegas blackjack dealer. And of course, now I want a crêpe.